Here at Reel Gospel, we love to keep you informed of important music releases we think you need to get your ears around. But every now and again we’re unable to cover all the good stuff, and this was the case for Swoope’s album Sinema, which dropped back in August. It’s a shame that we didn’t cover it then, because this is an excellent record. Swoope is a rapper who waves the flag for the 116 Clique (just listen to track #SameTeam for proof) and wants us all to live for Jesus. So much so that Sinema reads like a movie script, with Swoope as the lead character fighting a great adversary. But while you might think it’s temptress Mya Desiree who keeps calling up looking for love, it’s actually Swoope’s heart that is causing the greatest grief. This isn’t necessarily an album about sin. It’s an album about our daily battle with sin – some days we win, and others we don’t. I love how this album has been structured. Voicemail messages between Swoope and Mya are the glue that hold the concept together. As you listen, you can’t help but become Swoope’s cheer squad as we silently hope and plead that he won’t give into temptation – just like you would watching a film character at the end of their rope. But most of all, Sinema cuts us deep as we consider our own sin, and our need of a fixed heart. On My Mind (feat. JR) features funk and falsetto and delves into our minds and what we chase after. #SameTeam deviates a little from the album’s concept and is a seven-minute epic featuring other Christian rappers (Tedashii, J. Givens to name a few) who are united together by the mission to proclaim the gospel. LSD (feat. Christon Gray) is a suave glimpse into the battle of the mind: ‘I want it, I want it, I need it, I need it.’ It should cause us to consider the times when we justify sin in our minds, calling our wants our needs, when sin is what we are to flee from. Bow Down continues this line of thought, reminding us that we need the mind of Jesus to be free from sin. The glorious grace of Jesus and his forgiveness despite our rebellion is featured on Best of Me (feat. Natalie Lauren): ‘The blessing of the cross says that I’m died equipped to battle this, why? Cos Jesus stands before me’. Swoope gets pretty real on this track, and just when you think he might be winning the battle against temptation, Mya leaves another voicemail. This again messes with us as we fear what Swoope will do next. We can blame others for our desires, but it’s clear that our fallen human hearts are the problem. Our sin comes from within us. Swoope wants us to see that, and on final track Fix My Heart to see that only Jesus can heal us. Jesus is the perfect lamb who has taken our sin upon himself, and now provides a way to find freedom from our sin. He helps us to live for him by his Spirit. While we live here on earth there’s going to be a constant battle between our flesh and the Spirit, but isn’t it wonderful that the cross sets us free from our sin and death! Swoope shows us this on Sinema as he plays with our emotions, challenges us in our sin, and points us to Jesus who took our sin on himself and rose victorious. I’m giving Swoope’s stunning Sinema four-and-a-half out of five stars. 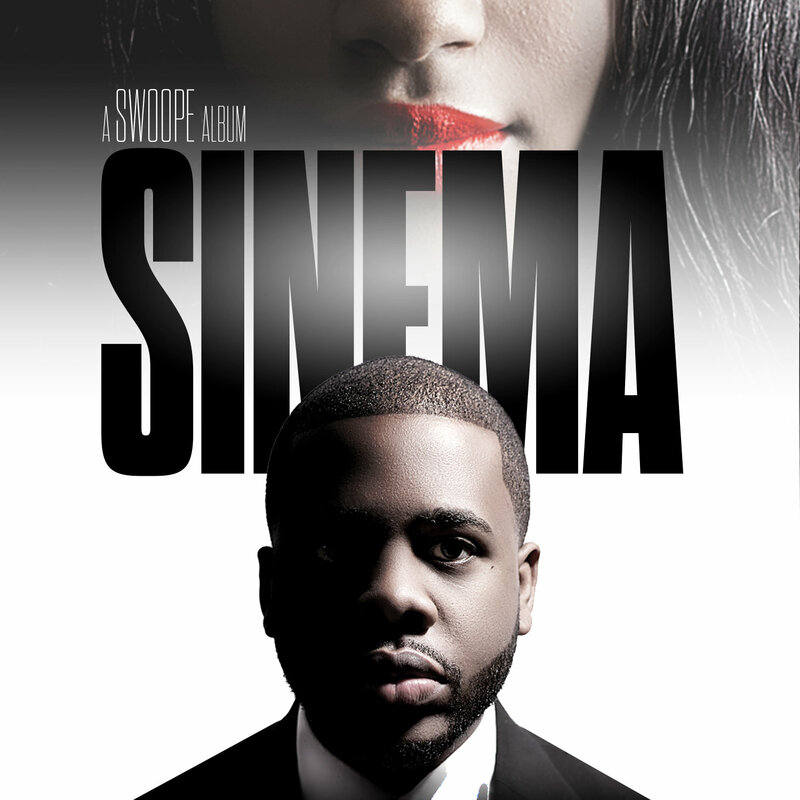 Sinema by Swoope is available now on iTunes. Watch out for our review of his new EP, Because You Asked, real soon. Posted in MusicTagged Album Review, christian, Sinema, SwoopeBookmark the permalink.